get your 4 WINE BOXES free. 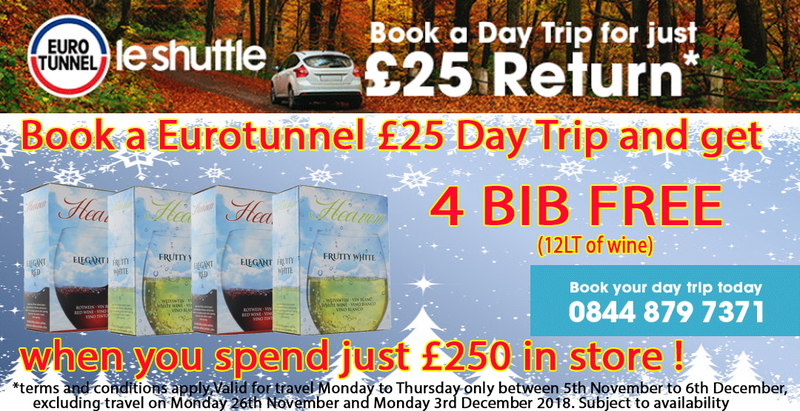 *Offer valid for travel between 5th November and 6th December 2018, Monday to Thursday only, excluding Monday 26th November and Monday 3rd December. All bookings must be made before 5th December 2018.